MMMmmmm… Monday! I thought I’d share one of my favorite, easy dessert recipes this morning. 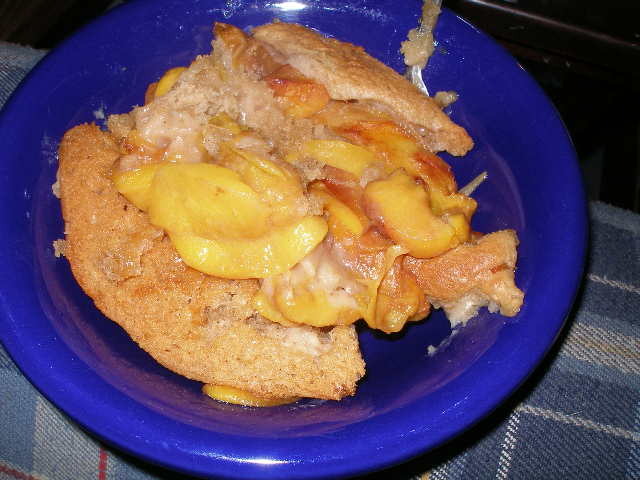 Peach Cobbler! 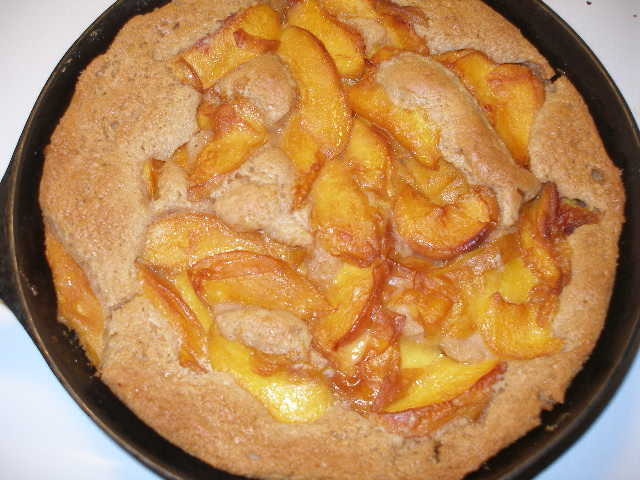 You can make this recipe in a cake or brownie pan, but I like it in my cast iron skillet. Preheat your oven to 325°. 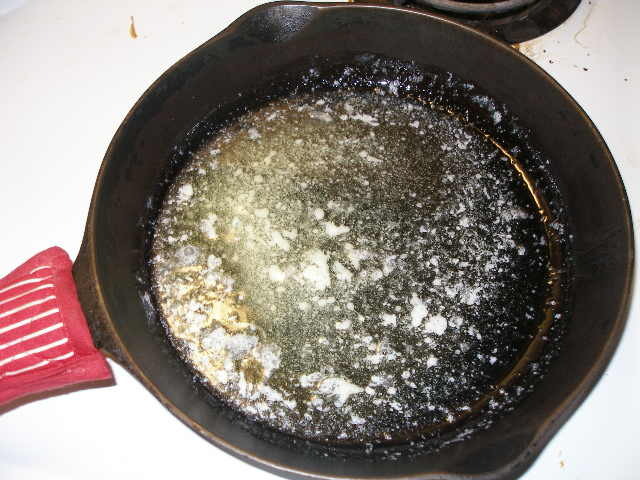 Add 6 tablespoons of butter to your pan and stick it in the oven to melt. 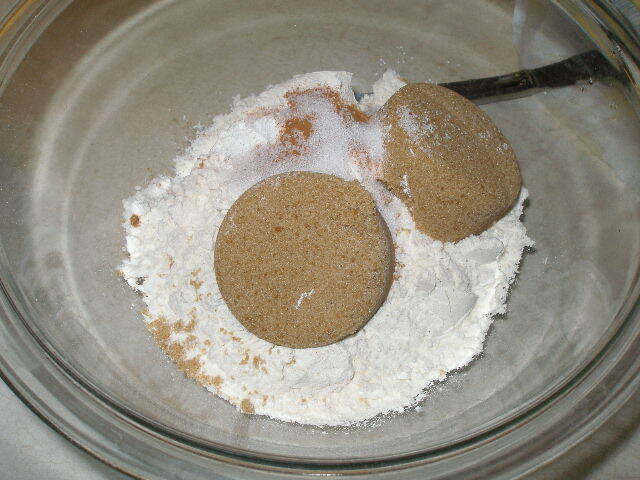 Meanwhile, in a medium bowl, stir together 1 cup of flour, 1/2 cup brown sugar, 1 1/2 teaspoons baking powder, 1/2 teaspoon salt, and 1/2 teaspoon ground cinnamon. You can use any kind of flour. 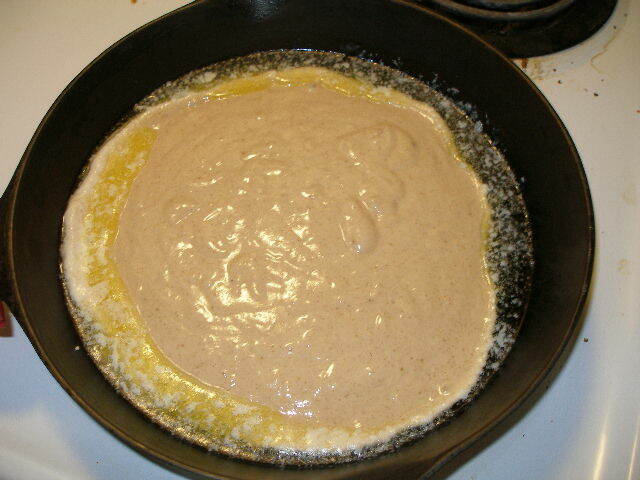 In these pictures I used white, but have used whole wheat and even corn flour before. Basically, whatever is on hand. Keeps it easy. 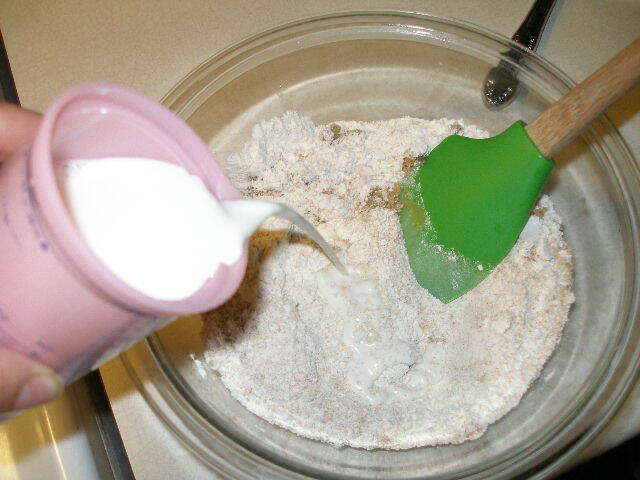 To this add your liquid – I use 1/2 cup milk and 1/4 cup half and half or cream. But any combo will do, cream making it a bit richer. I’ve used buttermilk before and it’s delish. Once that is all mixed up (about the consistency of pancake batter), remove your pan of melted butter from the oven and dump it in. Don’t stir it in the pan. You can see that the butter sort-of goes to the edge of the pan, and that’s ok, don’t mix it up – this is the lazy way, remember. 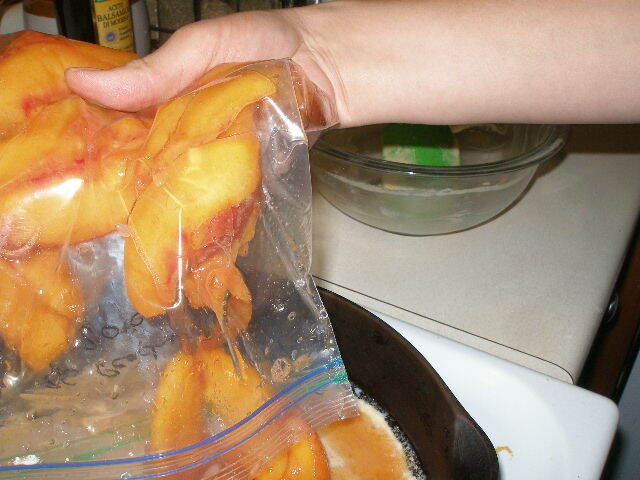 To this add about three cups sliced fresh or defrosted, unsweetened peaches. We get lots of peaches in the late summer, and a great many go into the freezer for us to use throughout the year. We defrost them and add them, with their juice. Just dump them on top. Again, don’t stir, but if there’s a big pile, I’ll move some over to an empty space. If you want, you can sprinkle a bit of granulated sugar on top at this point, but I usually don’t since we eat this so often, we’d be fat, fat, fat if I did! Put the pan in the oven and leave it there for an hour. 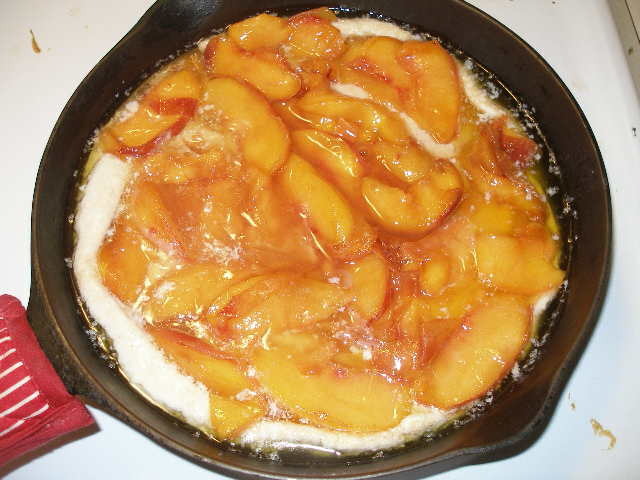 When your done, it’ll be delicious, peach cobbler – the easiest you’ve ever made! Wow, this looks amazing! I’m definitely going to try this method. Thanks for the tip, Anisa! My family loved this….I made some healthy substitutes..